It is a bitter start to Wednesday because we are tracking temperatures in the upper 30s. Westerly winds between five and 10 MPH is making it feel even cooler outside. Wind chill values have dropped into the upper 20s and lower 30s! It is a bitter start to Wednesday because we are tracking temperatures in the upper 30s. Westerly winds between five and 10 MPH is making it feel even cooler outside. Wind chill values have dropped into the upper 20s and lower 30s! You will want to have a winter coat through the morning hours. 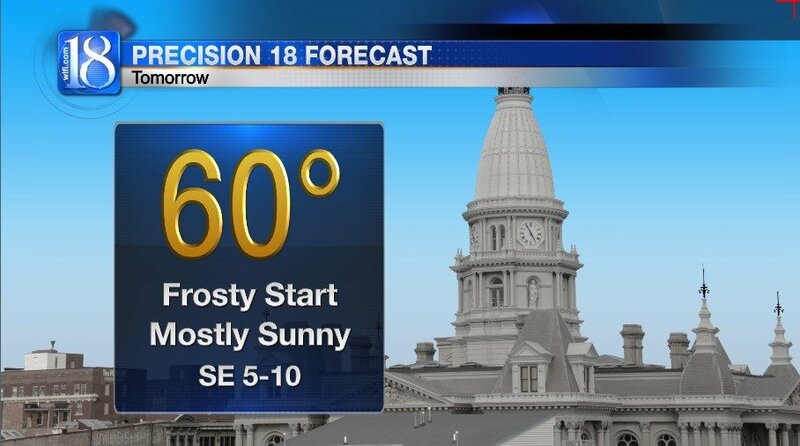 Patchy frost will also be possible. Partly cloudy skies will become mostly cloudy this midday. 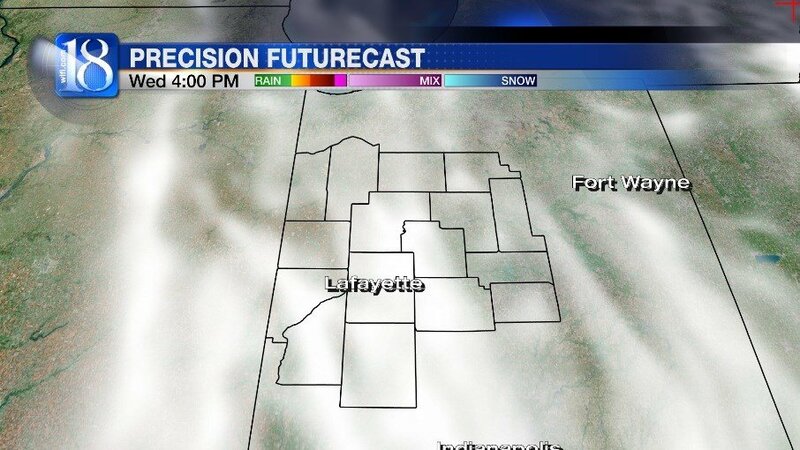 Cloud cover will increase through the afternoon hours and may trigger a few showers. 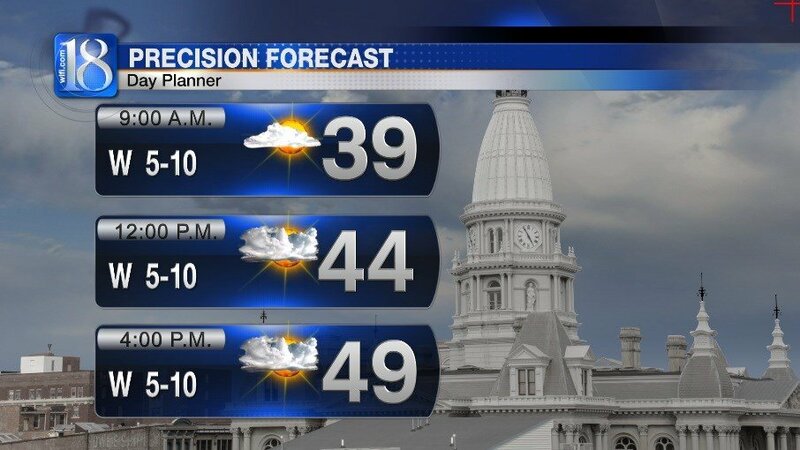 However, there will be several dry hours in the forecast for today with highs in the upper 40s and lower 50s. 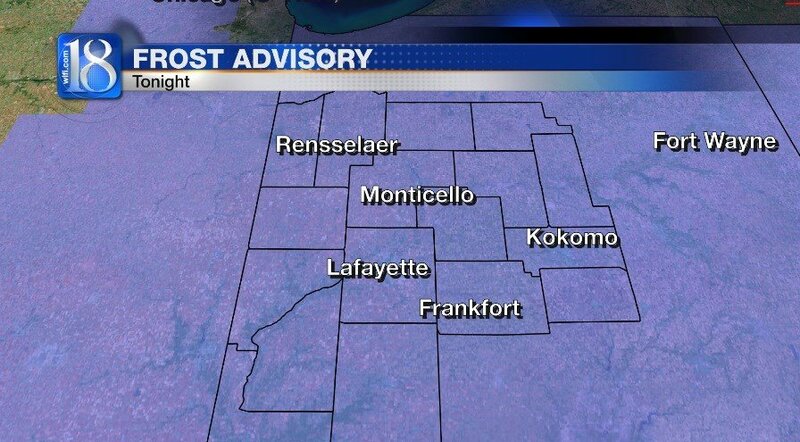 The National Weather Service has issued a Frost Advisory for the entire WLFI viewing area tonight. Benton, Newton and Jasper counties from 5 a.m. EDT until 9 a.m. EDT Thursday. Tippecanoe, Fountain, Montgomery, Clinton, Carroll, Howard and Warren counties from midnight EDT to 9 a.m. EDT Thursday. White, Cass, Miami, Fulton and Pulaski counties from 3 a.m. EDT through 9 a.m. EDT Thursday. 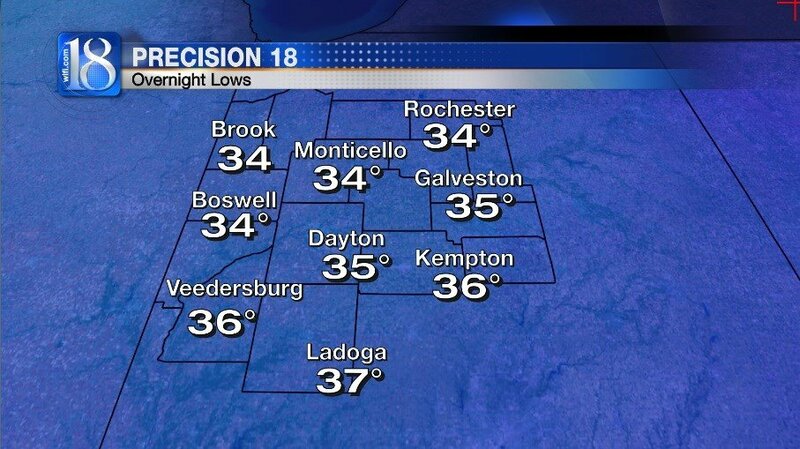 Skies will turn mostly clear during the overnight hours as lows fall back into the mid-30s! Lighter wind speeds with the chilly temperatures may create areas of widespread frost for the morning commute. The weather tomorrow will be brighter and warmer with highs in the lower 60s. High pressure will provide the area with mostly sunny skies. 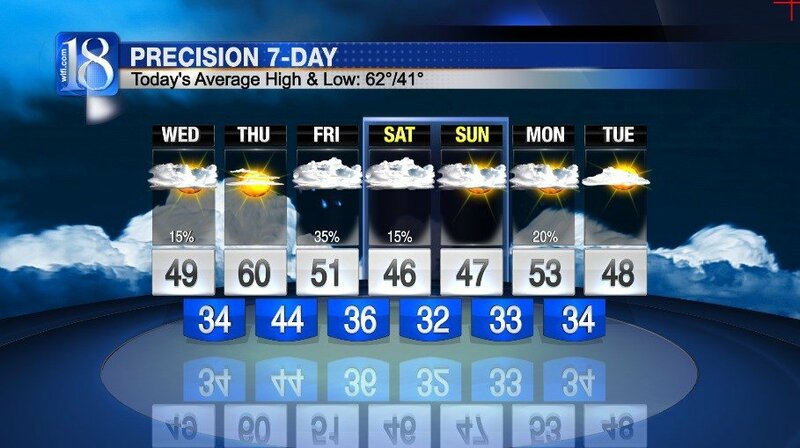 However, our next system is going to arrive on Friday and it will bring a chances for rain Friday afternoon. Temperatures will also cool off by the weekend.